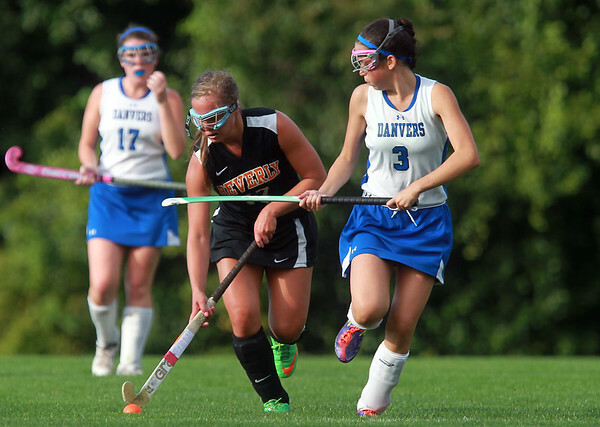 Beverly's Sierre Gelsomini, left, carries the ball upfield while being closely defended by Danvers' Rhianna Leslie during the second half of play on Tuesday evening. DAVID LE/Staff photo. 9/16/14.